Last Thursday was the grand opening of Topshop Topman's biggest international location in Vancouver! As much as I would have loved to have been there, I wasn't able to attend because of school, and this weekend I rushed out the moment I finished all of my homework. 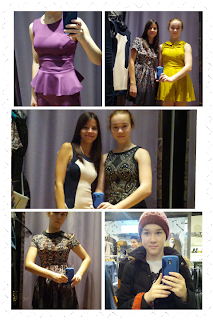 I can easily say that the Topshop exceeded all of my expectations! It was my first time visiting one of their locations, and before that I had only been able to look at their clothing online. The entrance through which I came in was gorgeous, and a lot of the interior was decked out in accents of mirrors and bright light with beautiful lacquered black details. My friend and I were 'talented' enough to get lost in the first two minutes of being inside, but that definitely had to do with the size of the place. Most of it is underground, and connects several big stores and two or so underground shopping centers. Now, I must tell you, the clothes took my breath away, they were all beautiful, but some pieces had tiny little details about them, that made them unique. Having quite an eye for shiny things, you can probably imagine how hard it was for me to leave the jewelry stands, and especially those items that were covered in sequined patterns, they seemed so delicate and beautiful! I can't wait to go back again, and hopefully I'll even get a haul there someday which I'll be sure to blog about! 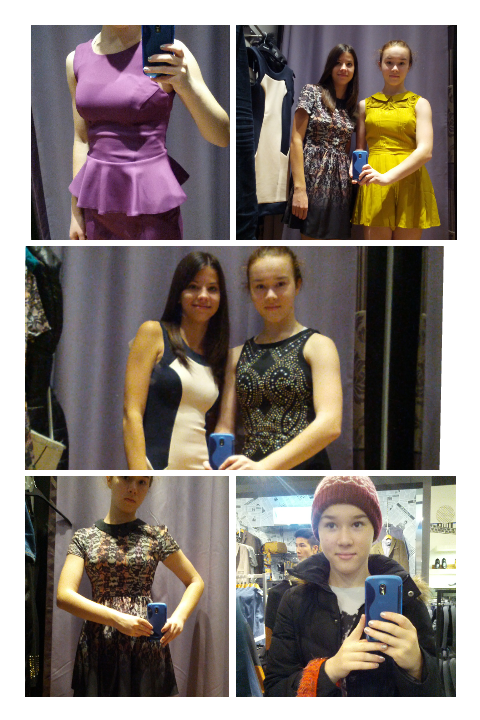 This is just a fraction of what we tried on, but are probably my favorites out of all of the pictures. Thank you! I'll make sure to follow you back! Nice post!!! thank you so much for your comment!!! Of course I follow you now! I'm very happy if you do the same. Thank you for following me, I already followed you back! Topshop is truly an amazing store, I'm so glad they opened one here!